We have a new cheese shop in Durham and lo, it is a glorious occurrence! 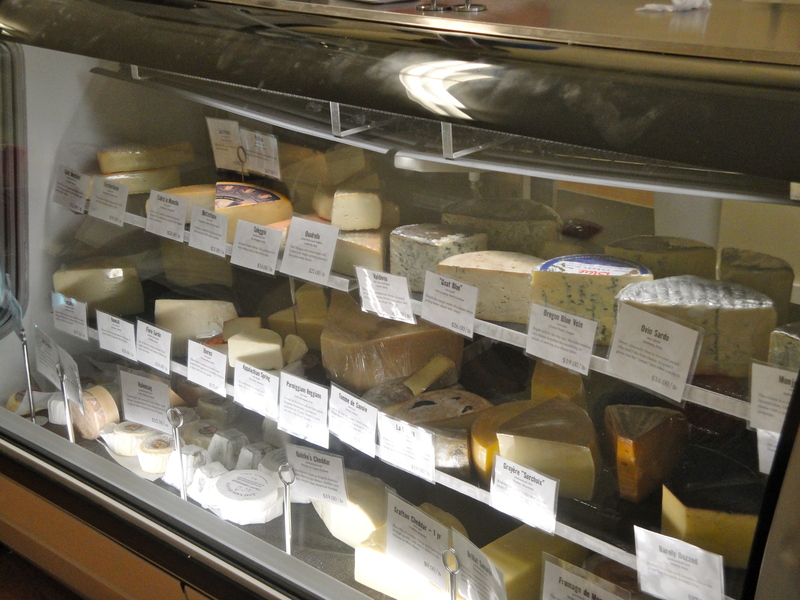 The Reliable Cheese Company was opened to fill a void in Durham’s foodie niche: the local cheese shop, where one can pick up great cheeses, meats, and other specialty goods and receive advice and guidance from a knowledgeable cheesemonger. That cheesemonger is Patrick Coleff, who has been in the cheese industry for five years, learning the trade at the great Murray’s in Manhattan and working at a few other specialty shops in Brooklyn before relocating to Durham. 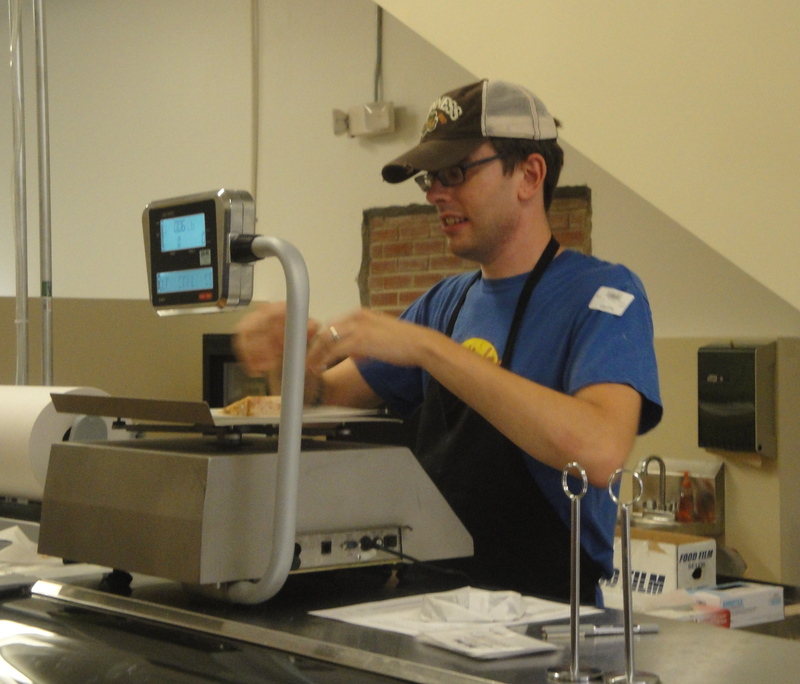 While the Triangle foodie can get great cheeses at Whole Foods or A Southern Season, Patrick really wanted to open a small, cheese-specific, neighborhood spot–and in my opinion he has definitely succeeded! 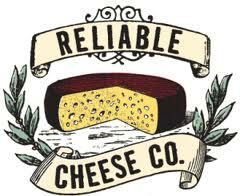 Reliable Cheese Company is located right off Rigsbee next to Rue Cler in downtown Durham. The significant other and I arrived on early Friday evening toward the end of the store’s second day of business. Patrick was busy with a handful of customers, so I browsed the store. The space is mostly bare bones right now: a check out counter, refrigerated cases for cheeses and meats, and a slicer. Empty shelves and a sign hold the promise of wine from Wine Authorities. Other shelves hold jars of quince paste, cornichons, and marinated olives. There’s a space in the back that I am assuming will be used for future Cheese 101 classes (which I hope to attend) but I might be wrong. Huge open walls are begging for cheese-centric murals or posters; I know it isn’t my store, but I’m hoping some talented Durham artist lends his or her talents to creating a gorgeous mural for the space! Patrick finished up with his customers and we had his attention to ourselves. We tried a number of cheeses: soft, hard, blue, goat cheese, a blue goat cheese (very mild, perfect for the blue novice! ), and they were all fantastic. 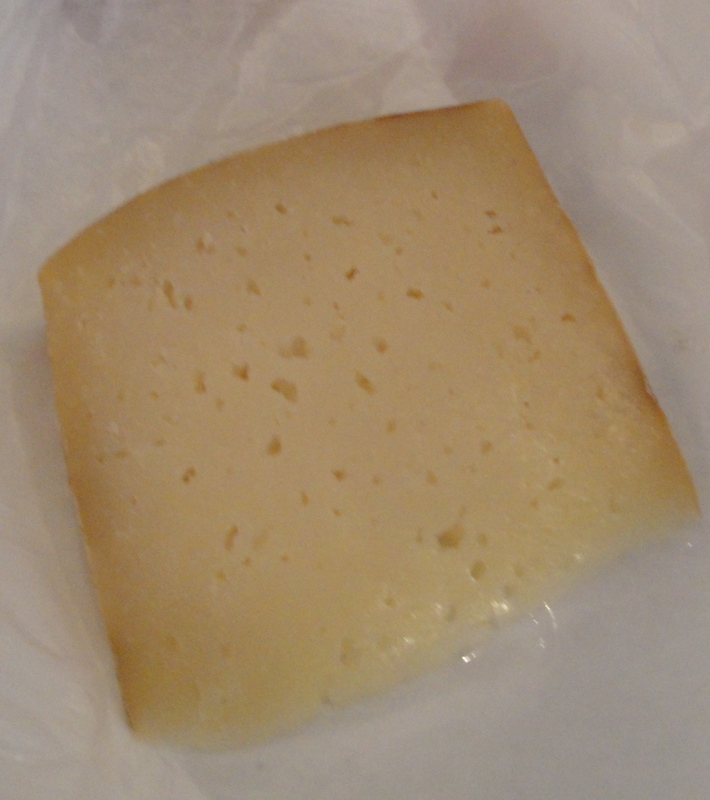 Patrick sources his cheese from small producers, both American and abroad, who place an emphasis on traditional methods of production. He was more than happy to provide us with samples. 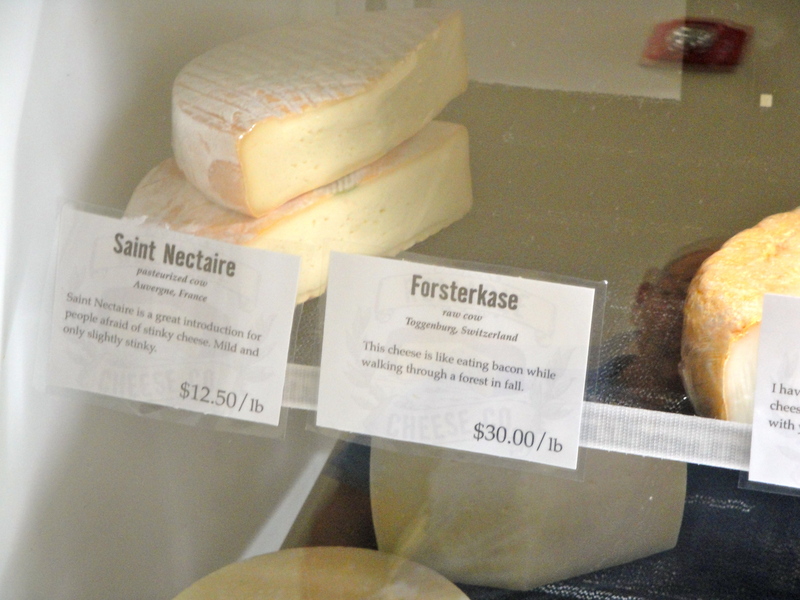 Each cheese is fronted by a placard with a creative description from Patrick. My favorite description was for the Fosterkase, a soft cheese which Patrick described as eating bacon while strolling through the forest in autumn. 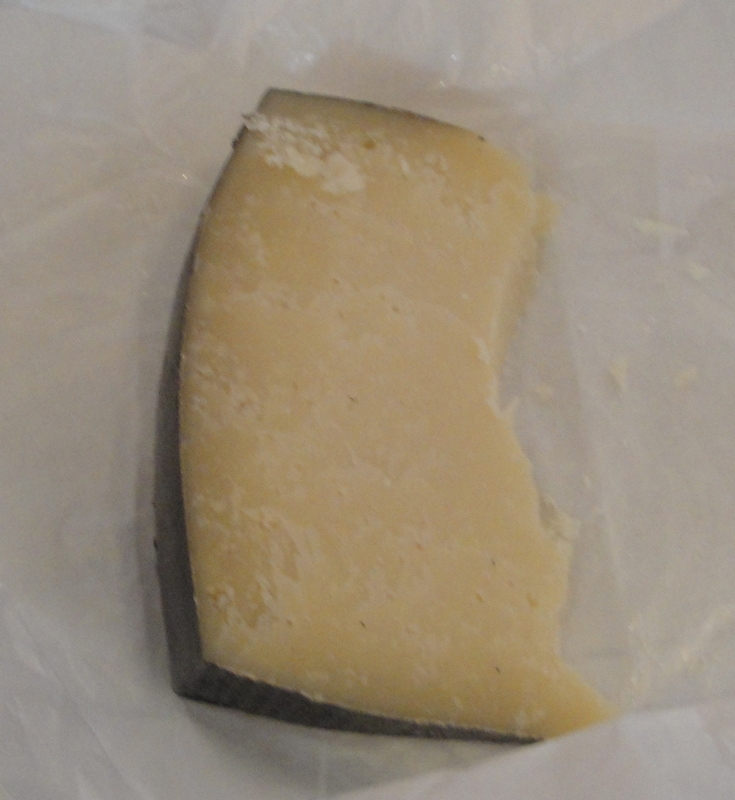 After trying 8 or 9 cheeses we settled on two hard cheeses: the Fiore Sardo, a smoked cheese from Sardinia with a light, buttery taste not typically associated with smoked cheeses and the Roncal, which is Manchego’s “predecessor cheese” and had a spicy saltiness that I loved. Patrick got us packaged up and ready to go just as the next wave of customers arrived. Perfect timing! 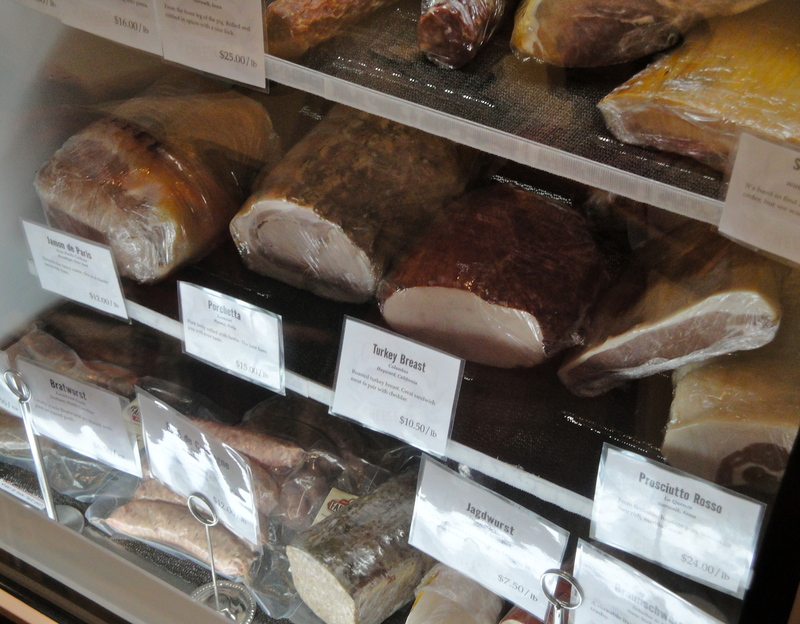 We stuck to the cheese refrigerator this time around but I am excited to go back and get some of the specialty meat: guanciale and bresaola and oh my goodness, it all looked fabulous. According to the Reliable Cheese Facebook page they are now doing sandwiches with their meats and cheeses. They also offer pre-made cheese plates if you are in a hurry. 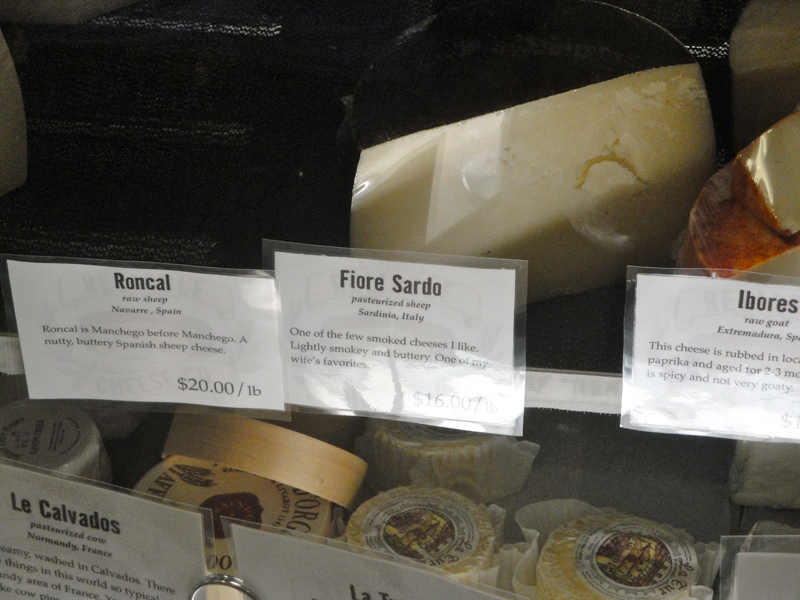 I highly recommend stopping by here for your cheese needs: Patrick was amazingly helpful, friendly, and knowledgeable. I am excited to visit again and to pick up some more delicious cheese! What can I say, I love me some cheese!